Fresh details about Microsoft's first store in the UK have emerged online. 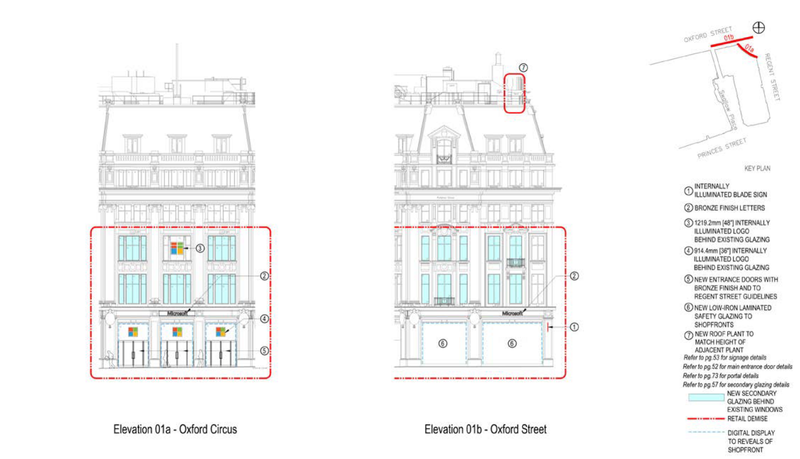 Published on the City of Westminster's planning portal, Microsoft has confirmed the size of its London store's retail floor space and offered more details about its layout. Microsoft's first store in London has been a long time coming. Back in 2012, The Verge reported that Microsoft was planning to open a retail store in Covent Garden in 2013, but this never materialised. Then in September last year the company announced plans to open a flagship store in Regent Street. Details about its progress were scant until last month when one redditor spotted several job posts on the company's careers website. 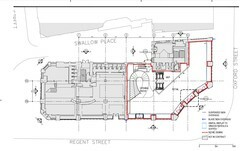 However, the City of Westminster Council has now posted new documents on its planning portal that show the proposed ground floor and details about the store's layout. According to a letter accompanying planning permission documents, the real estate services company CBRE has confirmed that the store will have 1,066 m² (~ 11,474 ft²) of retail floor space, excluding back of house areas. Moreover, the letter confirms that the store will have a 'theatre space to present and display new product lines' and a gaming studio. Finally, the floor plan indicates that there will be huge digital displays around the ground floor windows and a spiral staircase snaking up through the store. For full information released so far please head to the City of Westminster planning portal and search for '259 Regent Street', '18/09282/FULL', '18/09577/ADFULL', or '18/09026/LBC'.